As a book lover, I have incorporated all the new tech available, which has increased my consumption of books in all their forms. I love real books but hate the space required to store them; nevertheless, I still have too many and buy them all the time. My favorite combination is getting books on Audible and Kindle. With Audible, I can listen while doing housework, on the go or at the gym. The non-glare non-blue light emitting Kindle lets me read at night without messing with my sleep plus I highlight, bookmark and have access on all my devices! 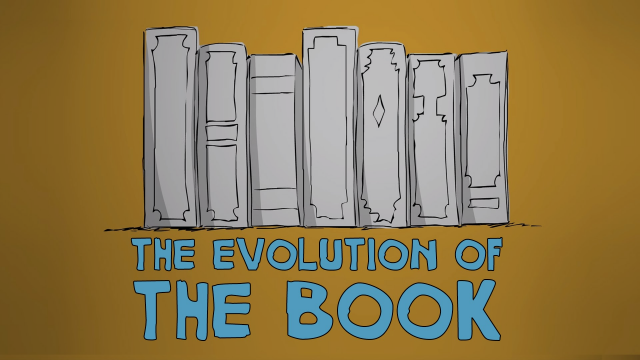 The short video above gives us the history of books. Enjoy! Books = Wonder, Wellness & Wisdom! What makes a book a book for you? ps. Thanks for spreading the word and inviting your peeps to join at http://bit.ly/WeeklyWhims. Click here for a one time contribution. Patreon is ongoing. Copyright © 2016 Spark Social, Inc., All rights reserved.